Accord Healthcare Inc., has recalled one lot (Lot PW05264 – 46632 Bottles, NDC 16729-182-01) of Hydrochlorothiazide Tablets USP, 12.5 mg, due to a potential product labeling error. Specifically, a 100 count bottle of Hydrochlorothiazide Tablets USP 12.5 mg was found to contain 100 Spironolactone Tablets USP 25 mg, according to the company’s recall announcement. Accord Healthcare became aware of the mix-up through a product complaint reported from a pharmacy. “Spironolactone tablets are indicated in the management of primary hyperaldosteronism, edematous conditions for patients with congestive heart failure, cirrhosis of the liver accompanied by edema and/or ascites, nephrotic syndrome, essential hypertension, hypokalemia, severe heart failure. Use of spironolactone tablets instead of hydrochlorothiazide tablets, poses the risk of contracting hyperkalemia (increase potassium levels) in certain individuals resulting in adverse events that range from limited health consequences to life-threatening situations in certain individuals. To date, Accord has not received any reports of adverse events related to this recall. 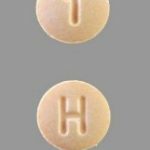 Accord Hydrochlorothiazide Tablets USP 12.5 mg are light orange to peach colored, round, biconvex tablets debossed with H on one side and 1 on another side. See image at left. The company stated in its press release “If you are in possession of Accord Hydrochlorothiazide that does not match this image or if you are unsure, please return to your pharmacy or healthcare provider for confirmation. Adverse reactions or quality problems experienced with the use of Accord Healthcare Hydrochlorothiazide Tablets, 12.5 mg or any other drug product, may be reported to the FDA’s MedWatch Adverse Event Reporting program. The Weinberg Law Firm is currently assisting those injured by defective pharmaceutical drugs and medical devices. If you or a loved one has been injured, and you would like more information regarding your legal rights, please call our offices toll free at 877-934-6274. You may also wish to see Medication Error Lawsuit and Medical Malpractice Lawyers NJ to learn about our additional legal services.